Standalone second book in the LAMBDA nominated Rented Heart series. Soul to Keep is the second installment of the Rented Heart series and can easily be read as a standalone. It’s been a long while since I read the first in the series, and I barely remembered the finer points. I do recommend if you did read it, perhaps check out the synopsis or a few reviews to refresh your mind. It’s not contingent on your enjoyment, but the emotional connection created with Jamie would be stronger. 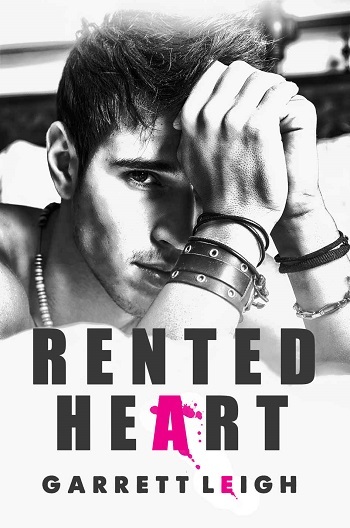 A head’s up, while this is the sequel to Rented Heart (Jamie), I do believe it’s also the continuation from another book, Between Ghosts (Marc) which I have not read. I did notice the focus on Marc’s friends and wondered if they had had a book by Garrett Leigh. There is a larger focus on the world built in that particular book than in Rented Heart, so those who read Between Ghosts would gain a higher emotional payoff from Soul to Keep, and the seeding of future books seem to come from that universe created as well, not from Rented Heart. The tie to Rented Heart is only Jamie and a half-page interaction with Zac. Jamie is struggling with addiction and mental illness, but he’s struggling the worst with the ultra-positive, sunshiny vibe of California and the way his friends are watching him like he’s a ticking time-bomb readying to blow. Missing the mood England gives off, the one that is more befitting of Jamie’s personality, he digs up his roots and leaves his friends behind. Marc is a civilian doctor now, but he was in the military and it cost him his leg and many friends. He’s shut himself up in a hoard-filled manor left to him by his mother and doesn’t allow many friends into his life. With two cross-path meetings, both Marc and Jamie are struggling in differing ways. 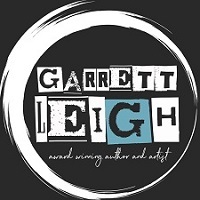 Garrett Leigh created a balance between the main characters, both caring, giving, and self-sacrificing, after living very different lives. Soul to Keep is a slow-burn romance that felt realistic as it organically unfolded. The plot surrounded Marc and Jamie, and a very small cast of characters who were mentioned more off-scene than shown on-scene. This kept the focus solely on the emotional, mental, and personal growth of the characters, while they grew closer together romantically. The plot’s focus was definitely on the after-effects of addiction and mental illness, as well as dealing with the reality of living with a disability. I applaud the realism paid to the darker aspects of the human condition, while creating a world that was sympathetic and compassionate, without shame or blame. I do have one con: Maybe it was a plot-hole or an inconsistency not picked up during editing. Marc mentioned a few times that he had his own demons with addiction – this was early on in the novel and it disappeared by the halfway point. I assumed it was with alcoholism. However, Marc went to pubs with friends, and mentioned he was a lightweight when it came to alcohol in a conversation dealing with past events with his two friends (Between Ghosts). This thread just dangled, fizzled out, and then contradicted itself, only with a bottle hidden in a passageway tying it back in much later in the novel. The plot for the next in the series was seeded, and I look forward to reading it. Fingers crossed the protagonists are who I believe they will be. (My guess, this character is also in Between Ghosts.) I definitely recommend this book and the previous one, especially to those who enjoy a more realistic read, featuring personal growth as the driving force. In Rented Heart, Jamie was impossible to like. As an addict, he was selfish, destructive, and his friendship with Zac was all sorts of toxic. This story sees him returning to England after a year of rehab in LA. He has changed – but he doesn’t yet trust the changes. The transition from army medic to NHS doctor hasn’t been easy for Marc. Adjusting to life as an amputee has made Marc’s new life even more difficult. I went into this book skeptical about Jamie, but I already loved Marc. Marc and Jamie find each other quickly but for different reasons, both Marc and Jamie are surviving rather than living and neither man is ready to even think about a relationship. I really enjoyed the slow, quiet chemistry between these two. Remembering what Zac went through with Jamie, I started out wanting to protect Marc. But Jamie won me over with the care he gives Marc. The care is practical and awkward at first, but Jamie’s intervention slowly brings Marc back to life. There is heat in this story, but it isn’t one of Garrett Leigh’s kinkier books. It is a gentler book than Rented Heart. If Zac was in the middle of his storm when he met Liam, Jamie meets Marc on the other side. Marc and Jamie explore their life experiences together but the grit and angst from the first book is replaced by quiet reflection and feelings of guilt and shame. Marc and Jamie give each other a chance at friendship and they offer each other a fresh start. From the start, I knew that Jamie’s story follows on from Rented Heart, but I was delighted to discover that Marc’s story links back to Between Ghosts which is another personal favourite. We actually see more of the characters from Between Ghosts than we do of Zac and Liam from Rented Heart. I’m fairly certain this could be read as a standalone but I really enjoyed the glimpses of characters from the earlier books. Considering how much I enjoy Garrett Leigh’s writing in general and Rented Heart specifically, I couldn’t wait to begin reading Soul to Keep. When I first queued it up on my Kindle, I expected to devour it in less than a day; however, when I began Jamie’s journey, I quickly realized that I wanted to spend time with him and Marc. I wanted to get to know Jamie (and Marc). I wanted to see Jamie’s struggles and battles and watch him overcome them – worrying the whole time that he might not, yet counting on Leigh to create a partner in Marc who could and would help Jamie succeed. I wanted to see Jamie discover the man within, the man who Zac still wanted to be friends with, the man who Marc saw and fell for, the man who he could be if only he would stop punishing himself for his past mistakes. While the author gave me all of this and more, I found myself reading the book over the course of three weeks. The reason I didn’t devour it in a day was not because I couldn’t get into Jamie’s story or that the subject matter was too distressing (and it’s some pretty tough reading), but rather that I wanted to savor the story, limiting myself to only a chapter a night, and not every night at that. I needed to give myself time to process all that happened and prepare myself for what might be coming next. You see, Jamie isn’t merely a recovering addict, he has far more going on in that head of his, things that were likely worsened by the drugs and some of which may have been caused or triggered by his addiction. Because of his mental health issues, quite a bit of Jamie’s angst within the story is internalized – feelings of worthlessness, fear of abandonment, loss of control, feeling that he deserved every bad thing that had ever happened to him, and feeling that he is undeserving of love – and it occurs on a rapid and constantly playing loop in his traitorous mind. But it’s because Marc’s able to disrupt that loop and give Jamie that feeling of safety and peaceful comfort that makes Jamie take a chance… eventually. Thankfully, Marc’s own past and issues give him some much needed insight into what Jamie is dealing with at times, thus enabling him to know when to push Jamie and when to back off. The two men complement each other better than one would expect when looking at them from the outside. I actually loved that both men had big issues that had to be dealt with in order for a relationship to work. Even better was that Leigh never approaches their romance as if love will heal all that ails them. While we don’t see a fraction of the help and treatment that Jamie undergoes to… not get better but… learn to cope and function within the world more effectively, we know through conversations and inner monologues that it happens. We get to see him come out on the other side, better for it. Because of the changes we see in his relationship with Marc in the epilogue, Leigh gives the reader hope for their future. Love was not a cure for Jamie or for Marc. What love was, was something to fight for, it was a future to live for, and a partner to care for who returned that care exponentially. And for Jamie, love was a mirror that finally let him see himself for the man who Marc fell in love with and who deserves every bit of the happiness that awaits him. For reviews & more info, check out our Rented Heart post. 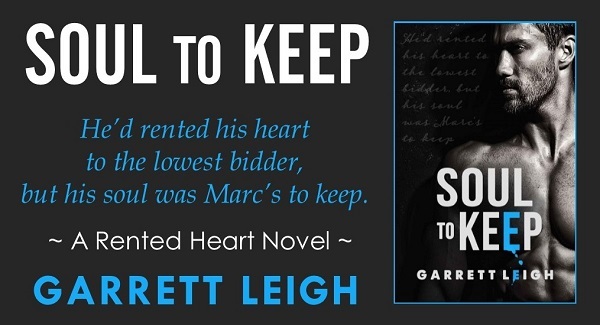 Reviewers on the Wicked Reads Review Team were provided a free copy of Soul to Keep (Rented Heart #2) by Garrett Leigh to read and review.